RUGGED “DUCK ” G -10 WORKING KNIVES. 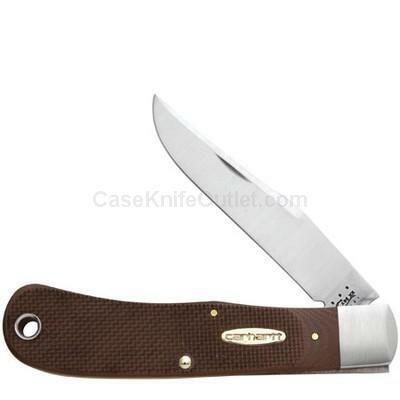 The virtually indestructible synthetic handles of these knives, have been created to reflect the well-known Carhartt Duck Brown fabric and are suitable for the harshest conditions. Blades feature strong shoulder and satin finish. Brushed finish Lazy Duck bolsters. G-10 handles. Brass finish Carhartt shield. Made in the USA.